Trust only a reputable company for their Conroe Lice Removal Products. Though there are a number of companies that offer their products but The Lice Place is the most trusted and experienced service provider in Texas. We offer a complete range of lice removal shampoo, conditioner, comb, brushes, mousse and spray at affordable prices. These products offer the safest way to treat head lice and nits infestations. 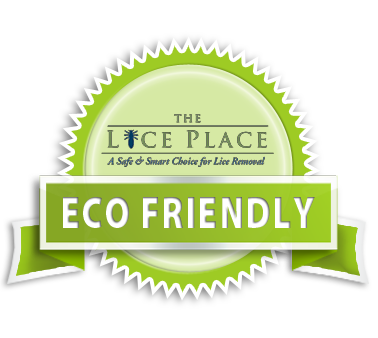 The Lice Place is a well-established lice removal franchise in Texas. We have many years of combined experience in providing effective lice removal services and products. With us, you will always get safe, non-toxic, pesticide free treatment. Our products are also safer to use on a regular basis. They don’t contain any harmful chemicals that can harm your scalp or hair. All our products are formulated with natural lice repellants ingredients, like Neem oil, peppermint and mint. You can use these products at home and even people with sensitive scalp or children can also use them regularly. Our products can easily be ordered online and are available at competitive prices. They will provide you and your family with a natural safeguard from future lice infestations. When you use these TLP products, you get healthy and shiny hair. Contact us today to know more about these products. At The Lice Place, you will get only safe lice solutions. We are an NALTP certified member and follow certain guidelines to protect our customers from any potential harm. You can trust us without a doubt for getting the most effective lice removal services and products at affordable prices. Our honest work ethic and extensive experience have made us the leading lice removal company in Texas. To benefit from our specialized knowledge, call us right now. If you have any questions about our Conroe Lice Removal Products, you can call us at 713-667-5423. We are here to help you stay lice free for years to come. Use our products and follow our professional guidance to remove the existing lice problems and preventing future infestations.